A constructive eviction occurs when a landlord’s actions (or inactions) interfere with a tenant’s legal right to enjoy the use of property. 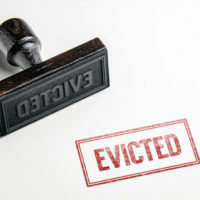 If a tenant, either residential or commercial, can prove constructive eviction in court, then that tenant is legally entitled to terminate the lease and to seek damages in the form of financial compensation. Here, our West Palm Beach landlord-tenant attorneys discuss some of the important things you need to know about constructive evictions. Violation: First and foremost, tenants need to prove that the landlord actually breached their duties. Breach generally takes one of two forms: 1) The landlord interfered with the tenant’s use of the property or their right of quiet enjoyment or 2) The landlord failed to fix a problem, thereby violating the duty to provide habitable conditions. Notice: Next, the tenant must provide the landlord with reasonable notice of the alleged breach. For example, if pipes start leaking, the tenant will need to inform the landlord that this is occurring. The landlord will then have a reasonable opportunity to repair the problem. Vacate: Finally, the tenant must have actually vacated the premises in order to seek financial compensation. If the tenant remains on the premises, no compensation for the breach can be awarded. Generally, a Florida landlord can defend themselves against a constructive eviction claim in two different ways. First, a landlord can argue that the tenant failed to meet one of the three required elements listed above. For example, if the tenant did not actually vacate the property, then their constructive eviction claim can not be sustained. A second option to fight against this type of claim that is available in some cases is the ‘foreseeability’ defense. For example, consider a scenario where a commercial landlord rents out a space to a restaurant. However, there is loud long-term construction that is taking place across the street from the property. One day, the tenant decides that this construction is hurting their business and claims that they have been ‘constructively evicted’ because the loud noise has disrupted their ‘right of quiet enjoyment’. If the landlord can prove that the tenant, knew, or should have known, about the construction at the time the lease was signed, then the noise simply cannot be used a valid reason to attempt to get out of the lease. Ultimately, it is imperative that landlords take proactive steps to document their dealings with their tenants. Proper documentation helps to protect landlord rights. When a tenant appears to be displeased with their current situation, for any reason, landlords need to be especially careful to gather documentation. At Pike & Lustig, LLP, our landlord-tenant lawyers represent the legal rights and financial interests of commercial landlords. From our offices in West Palm Beach and Miami, we serve communities throughout South Florida, including Boca Raton, Fort Lauderdale, Coral Gables, Oakland Park and Pompano Beach.